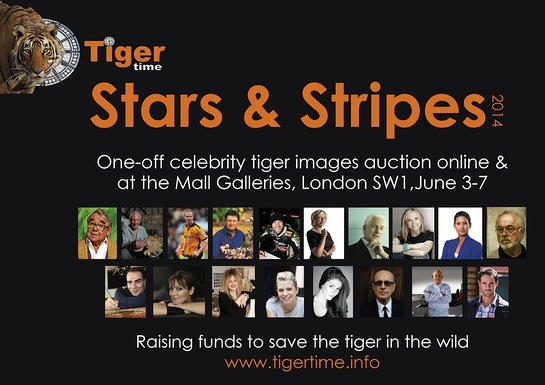 The David Shepherd Wildlife Foundation's TigerTime campaign has launched its 2014 Stars & Stripes celebrity art auction to raise awareness and funds for tiger conservation in India, Thailand and Russia. 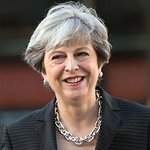 Sporting stars taking part include World Superbike Champion Tom Sykes, ex-England cricketer David Gower, Jody Craddock and Sir Stirling Moss, while actors Peter Egan, Ayden Callaghan and Sarah Jane Honeywell will exhibit their work alongside legend of rock Frances Rossi and everyone’s favourite comedian, Ronnie Corbett. There’s also work from wildlife artist David Shepherd, designers Elizabeth Emanuel, Emre Erturk and Naomi Cleaver, garden expert Alan Titchmarsh, best-selling novelist Jane Fallon and glamour girl favourite Lucy Pinder. You can view the full auction catalogue online here.